Lately Wedding Wednesday is the only real post that I can get myself to write. I think it's because I like to re-live that day, and also because I already have the photos prepared for me! Look at those pretty, smiling faces! 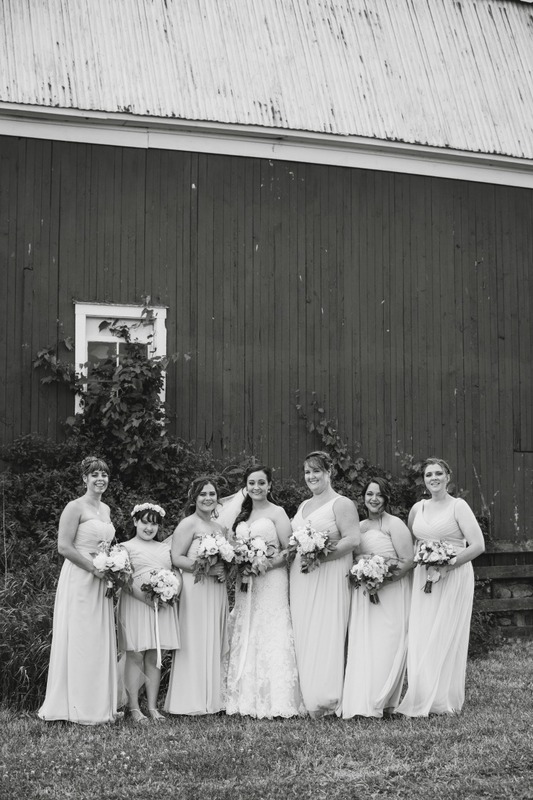 When I was thinking about what I wanted the Bridesmaids to wear, I really wanted something that would be comfortable, look effortless, and look cohesive. I wanted their dresses to look airy, and wanted them to be long dresses so that they would blow in the breeze. 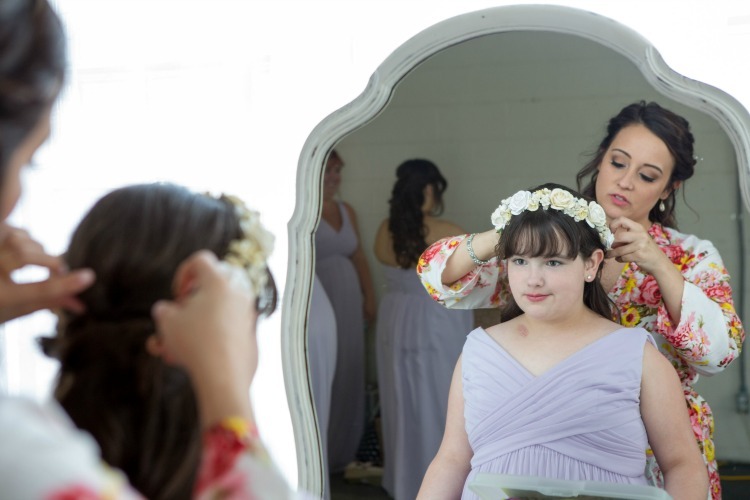 It was so important to me to let the girls feel and look like themselves. I didn't have any preferences on jewelry, hair or makeup. 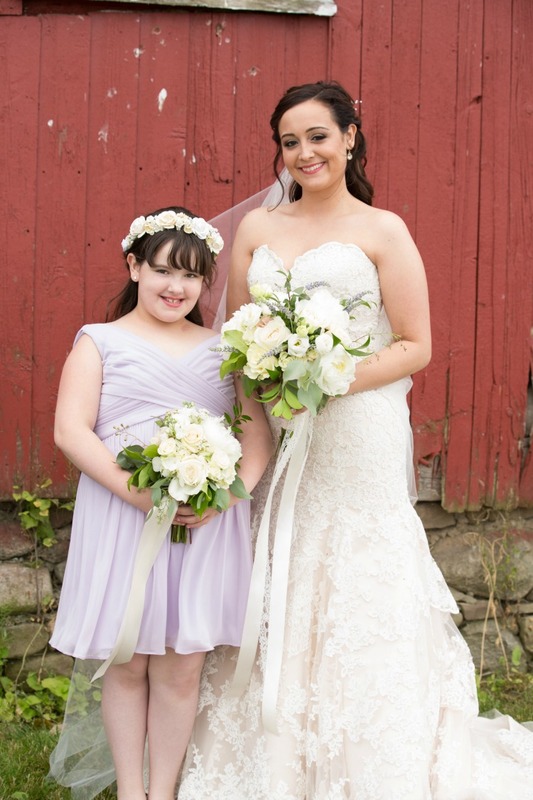 I wanted them to feel comfortable overall, and really wanted them to choose what style of dress was best for them. I chose three different styles of dress from David's Bridal. They all have very similar looking fabric, but they aren't quite the same. 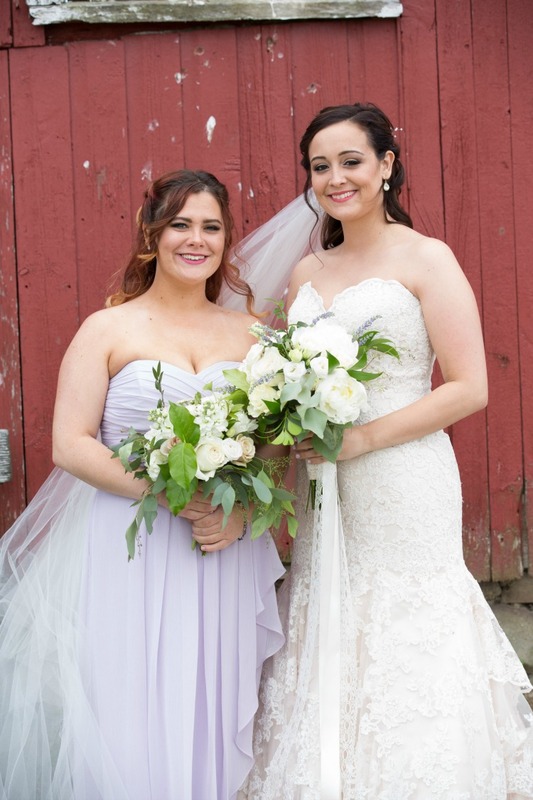 The dresses I chose were a strapless crinkle chiffon dress for my sister who was the Maid of Honor, and a choice of a mesh dress with a cowl back detail or a strapless chiffon dress for the bridesmaids. I let the bridesmaids choose their preferred style, and my sister had the little extra detail on her dress. 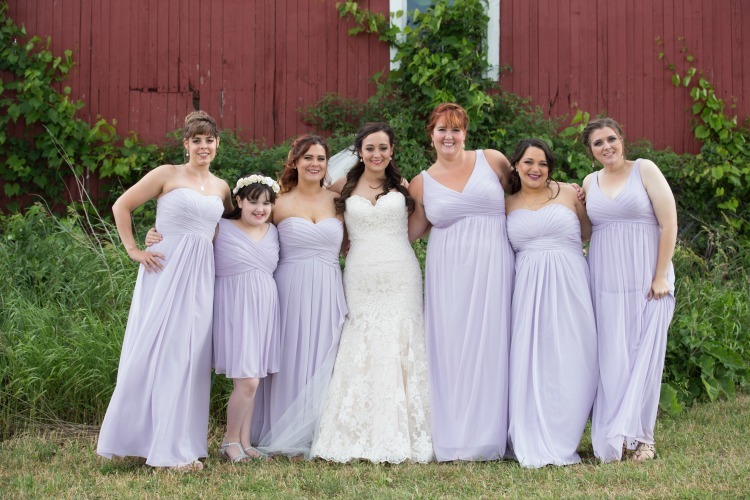 For my youngest sister, I chose that same cowl style dress, but in a short version because she was a junior bridesmaid. This fit her age and personality better I think. From the moment we were engaged, Caroline was asking me if she could wear a flower crown. I bought her a flower crown made of paper on Etsy, and that was part of her gift. She loved it, and lots of people gave her compliments. The girls all looked so gorgeous, and they all partied the night away. You could tell they were comfortable. We just had the best time. I am glad that I didn't stick to one dress, or have any crazy rules about hair and makeup. 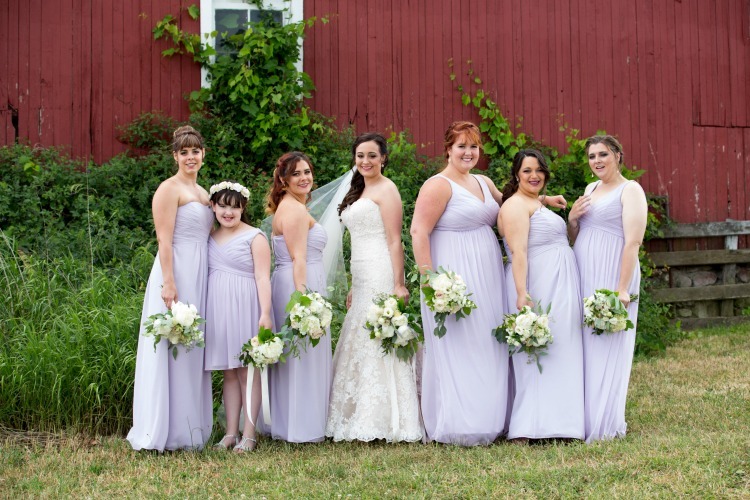 I want to look at these photos and see my friends and family members, not an army of bridesmaids.